ROCHESTER, Minn. — A protein called Bim may hold the clue to which patients may be successful on immunotherapy for metastatic melanoma, according to the results of a study by Mayo Clinic researchers led by senior author Haidong Dong, M.D., Ph.D., and published online in the May 5 edition of JCI Insight. PD-1 blockade is a type of immunotherapy that helps make cancer cells more vulnerable to attack by T cells in the body’s immune system by blocking the activity of a molecule called PD-1. PD-1 prevents T cells from recognizing and attacking cancer cells. Dr. Dronca and her colleagues found a higher frequency of immune cells, called T cells, that expressed the protein Bim among patients who responded to immunotherapy for metastatic melanoma than among patients who were treated immunotherapy but whose disease had progressed. “Our previous research demonstrated that Bim is a downstream signaling molecule in the PD-1 signaling pathway, and that levels of Bim reflect the degree of PD-1 interaction with its ligand PD-L1,” says Dr. Dong. A signaling pathway is a group of molecules in a cell that work together to control one or more cell functions, such as cell division or cell death. “We hypothesized that the increased frequency of CD8+PD-1+Bim+T cells in patients who respond to immunotherapy reflects an increased number of target T cells for PD-1 blockade with pembrolizumab, which may explain the positive clinical outcomes in these patients,” Dr. Dong says. MEDIA CONTACT: Joe Dangor, Mayo Clinic Public Affairs, 507-284-5005, newsbureau@mayo.edu. For the study, Dr. Dronca and her colleagues collected peripheral blood from patients at the initiation immunotherapy (baseline) and again at the time of first radiographic tumor assessment (12 weeks). They collected additional samples at each subsequent radiographic tumor evaluation for patients continuing on immunotherapy. The study was supported by funds from the Cancer Research Institute, the National Cancer Institute grants R21, CA197878, CTSA, KL2 TR000136, and, in part, by the National Institutes of Health/National Institute of Allergy and Infectious Diseases grants R01 AI095239 and K12CA090628. 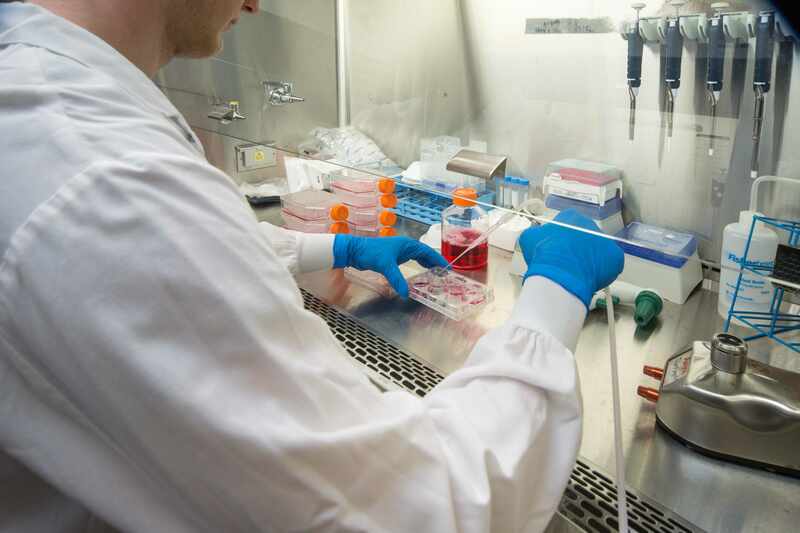 Researchers also received funding from the Mayo Clinic Center for Individualized Medicine Biomarker Discovery Program.